Hundreds of them were crowded together in tiny boxes — with no food or water. The birds would have been absolutely terrified. 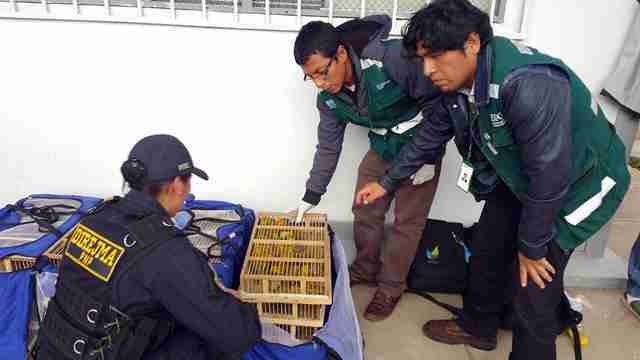 Earlier this week, Peruvian police and customs officials intercepted a bus carrying 581 wild finches packed into boxes. 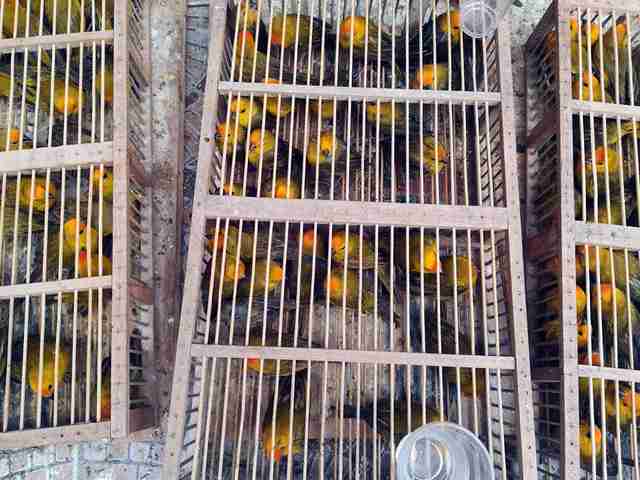 Wildlife traffickers had captured the finches from the forest, and shoved them into the small wooden cages. Then they loaded the cages onto a bus in Arequipa, Peru, which was being driven in the direction of Bolivia, according to a news source. 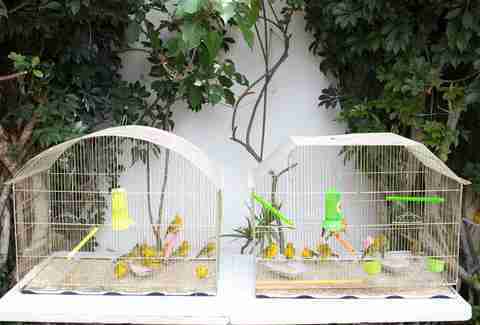 The birds had no food or water, and they had very little ventilation. 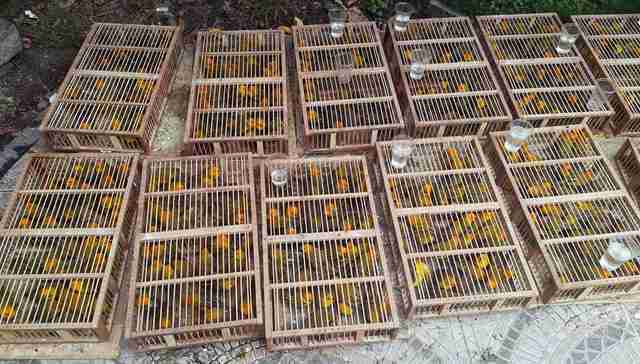 Officials confiscated the wild finches, who were being transported without the necessary permits. Then the officials sent the birds to a safe location where they could be rehabilitated. An official investigation is currently underway. But sadly, help had come too late for many of the birds — only 60 of them ended up surviving, Lissete Milagros Herrera Casas, press specialist for Servicio Nacional Forestal y de Fauna Silvestre del Ministerio de Agricultura y Riego (Serfor Perú), told The Dodo. 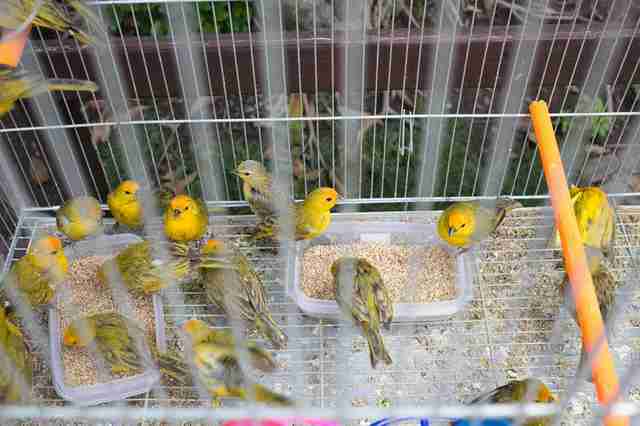 The birds were saffron finches, a species that is frequently captured and transported from other countries to Brazil for bird singing competitions, despite the fact that they’re actually found in the wild in Brazil, according to Thomas. For this reason, Thomas suspects that the birds’ final destination wasn’t Bolivia, but Brazil. 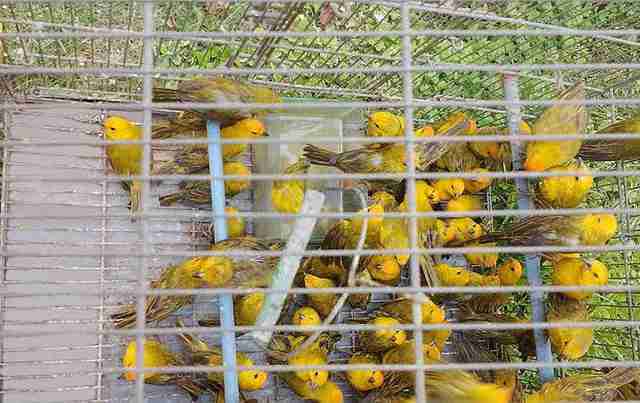 “Saffron finches there [in Brazil] are hugely popular in bird singing tournaments, where they are known as ‘canario da terra,’ and large sums of money frequently change hands by those who bet on whose bird is the best singer during bird song competitions," Thomas said. At the moment, both the International Union for Conservation of Nature (IUCN) and BirdLife International classify the saffron finch as a species of “least concern,” which means that they are not viewed as a threatened or endangered species. This is primarily because the saffron finch has a large range throughout South America, and the species at large doesn’t appear to be in decline. But this doesn’t mean that the saffron finch is completely safe, according to Thomas. And there may be local population declines, especially since the birds are frequently trafficked. To help keep wild birds like these safe, you can make a donation to the National Audubon Society or TRAFFIC.